Photos that are available in sizes over 2,000 square inches. I went on a Pacific Northwest trip during the summer of 2018, in which I intended only on shooting Oregon, Washington, and Idaho. But, as they often do, my plans changed. I ended up missing Idaho, but got a bit of Northern California thrown into the mix. 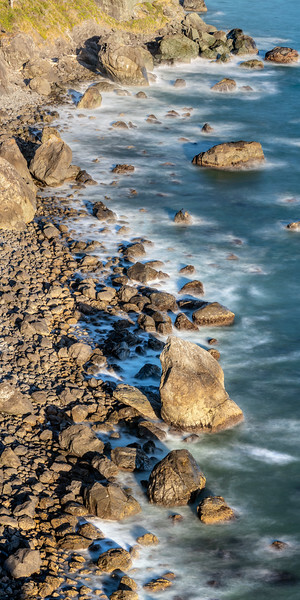 The coastline in Northern California is spectacular, and although I hadn't planned in advance on visiting False Klamath Cove, this photo that I took there, shortly before sunset, ended up being on of my favorites from the entire trip! Available in the following sizes (Panorama A): 10x20, 12x24, 16x32, 20x40, 24x48, 24x48 Triptych (3 x 24x16), 30x60, 30x60 Triptych (3 x 30x20), 36x72, 36x72 Triptych (3 x 36x24), 40x80, 40x80 Triptych (3 x 40x27), 48x96, 48x96 Triptych (3 x 48x32).